​Paris Saint-Germain forward Kylian Mbappe has won the French Player of the Year award for 2018, beating the likes of Antoine Griezmann and Raphael Varane. This will mark the end to a stunning year for the 20-year-old, who was instrumental in guiding France to World Cup glory during the summer. He also finished fourth in the Ballon d'Or voting and won the inaugural Kopa Trophy, which is given to be best player in the world under the age of 21. 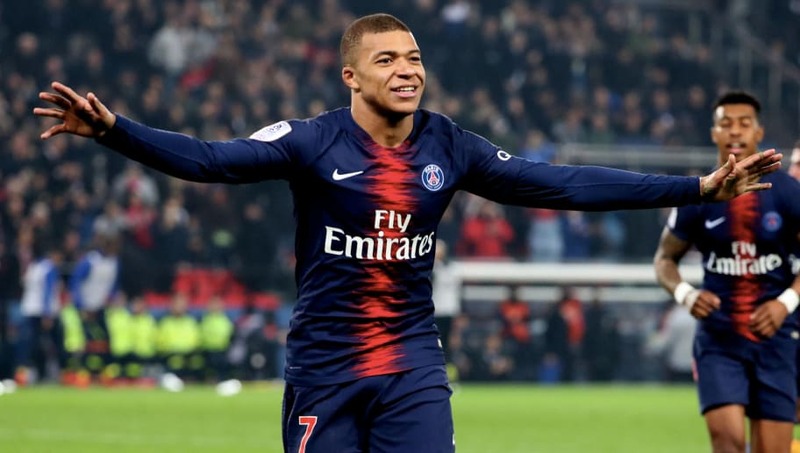 The latest award was handed out by ​France Football, who wrote: "​Kylian Mbappe, while debunking the myth that age matters, has enjoyed an extraordinary 2018, winning trophies with PSG, raising the World Cup and the first Kopa trophy awarded by France Football and finishing fourth in the Ballon d'Or. "To end his golden year, the France international has been elected French player of 2018 by France Football and its jury, composed of former winners, just ahead of ​Raphael Varane and Antoine Griezmann. A prize he came close to last year, seeing ​N'Golo Kanté steal the show." For both PSG and France, Mbappe has been exceptional in 2018. The winger has netted 30 goals in all competitions, guiding his club to a domestic treble in France. He has now won consecutive Ligue 1 titles, having lifted the trophy with Monaco in 2017. This season, Mbappe has already racked up 16 goals and ten assists from his 19 appearances. He currently averages one goal every 71 minutes in the league, which speaks volumes of his current form. He also netted three goals in the group stage of the Champions League, helping PSG qualify for the knockout stages of the tournament. The club fell to ​Real Madrid in the round of 16 last season, and Mbappe will be desperate to help his side advance further this year when they face ​Manchester United in February.